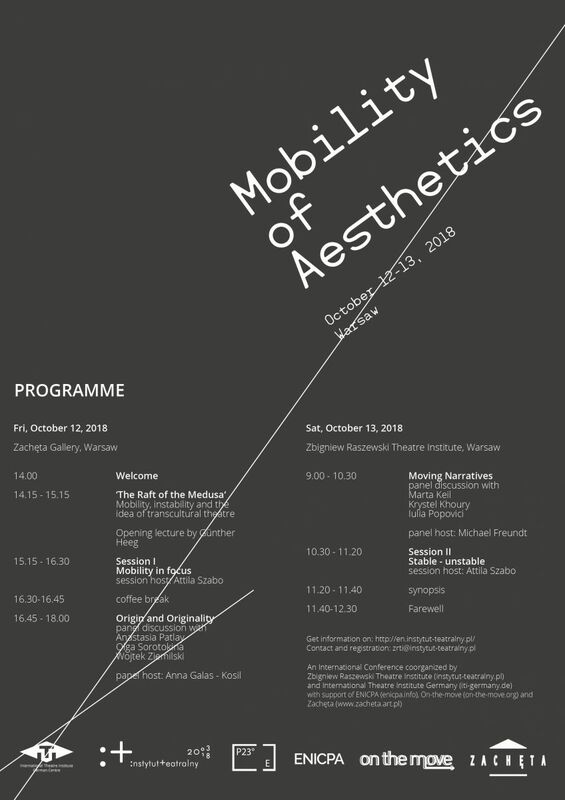 We cordially invite you to attend the conference Mobility of Aesthetics, which will take place within the frames of the meeting of ENICPA and On-the-move networks. How can culture and aesthetics be mobile when the whole world is liquid? What can be a response to the growing number of those who do not want to be mobile any more and who act strongly against those who try to cross the borders? And is it appropriate to discuss a fluidity of culture when peoples' mobility is increasingly involuntary and violently forced?